I have two kids like those you have; my green Guang Yu (honouring a legendary warrior revered in China who is featured beautifully on the cap) flew with a napkin in a windy day and the nib tines got a little separated. The other one is a black Duke 116, a little shorter. 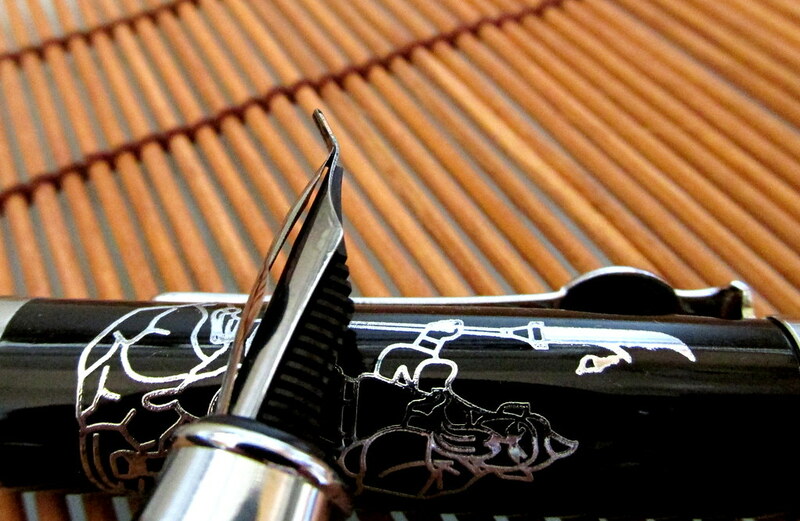 Both have the same #8 big size steel bent nib with an overfeed that sport Chinese characters. Both pens are quite large when posted, yes they are postable applying some pressure to the back side of the barrel. 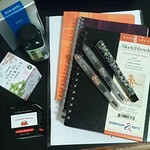 Both are very funny to use, more suitable for drawing but also write surprisingly soft. My favourite fude nib pen to write with is the Duke 669 also with a fude nib with an overfeed with chinese characters. The nib is short (like number 5) and the bent point is also shorter (the Guang Yu is almost 1 milimeter). The Duke 669 writes very soft with wide line variation depending on the angle of the nib over the paper; I love it. Thank you for extending my Wish List! The Duke 669 sounds more practical than the 116, but both would be welcome to join my pen family. 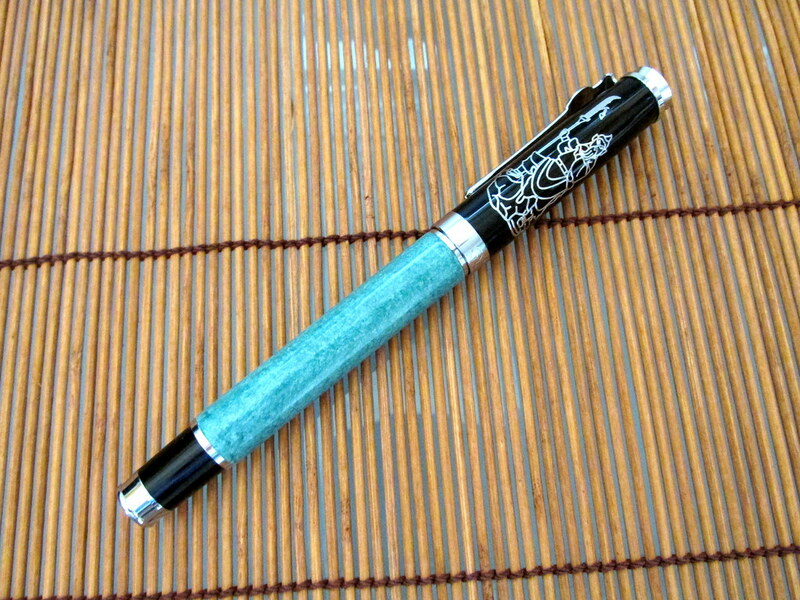 That’s a lovely pen! I hope it finds its way home. I love mine (which I bought from a different seller in China a few years back; think the store was “Bookworm” something.) I’ve been pleasantly surprised by its performance. Anyway, this appears to the same model as mine; sort of a Delta-esque appearance.